Our MACRO street sweepers are the most advanced and performing machines for continuous professional use currently available on the market. For years, MACRO technology has been focusing on four objectives: simple use, consumption reduction, low environmental impact, fast return on investment. The 636 is an evolution of the highly-successful 525. It was designed for customers who wanted bigger payload and more suction power for picking up heavier debris. High-performance, low-cost dust control: Requiring water tanks, trucks or special dust-reduction kits. 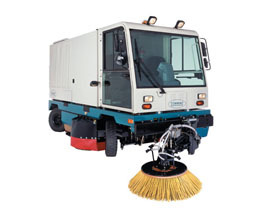 Looking for a truck mounted vacuum sweeper with outstanding quality and performance? 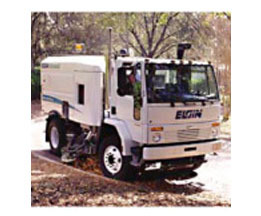 Elgin Sweeper Company has the solution. 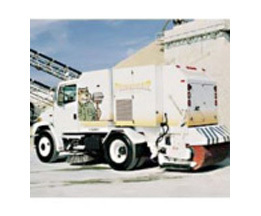 The Broom Bear is one of the most rugged and efficient mechanical sweepers on the market today. The Eagle Series F mechanical sweeper removes debris by sweeping material onto a conveyor system which then transports it into a debris hopper for containment, transport, and dumping. 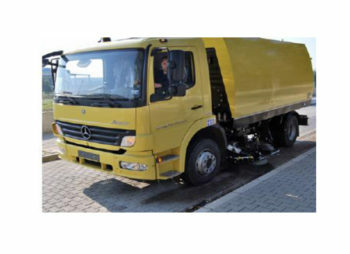 A 5.5 m3 truck mounted vacuum sweeper configured specifically for airport sweeping. 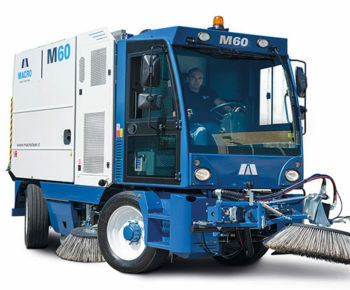 Parks, parking lots, neighborhood streets and highways all need to be swept to stay maintained and looking presentable. When you’ve got a road to sweep, you need a powerful piece of equipment that you can depend on, and it should be efficient without being so loud that it jolts the neighborhood. When you have a big job to get done, you can turn to Goscor to provide you with the equipment you need. Goscor Cleaning Equipment is proud to supply robust and reliable street sweepers from world renowned brands Tennant, Sentinel, and Green Machine. 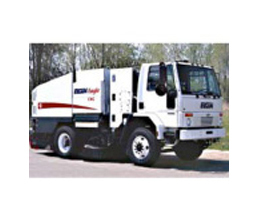 Each road sweeper provided by Goscor is designed to provide you with the quietest, most dependable outdoor cleaning. You can clean up any public area at any time of the day without disturbing anyone in the area. 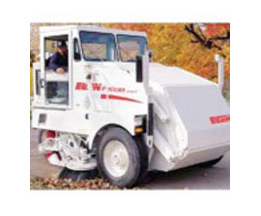 Take care of parking lots and garages, municipalities, and outdoor airport cleaning with these powerful and reliable sweepers. 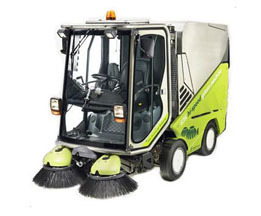 For sweeping up pedestrian spaces quietly, efficiently, and with little dust, try out one of the models in the Green Machine range to get the job done. There’s a Green Machine model to reach into any tough area, including under benches and around planters. The models in the Sentinal range of road sweepers are all-weather designs, ready to clean up the harshest outdoor environments. With features such as multi-level dumping hoppers, you can clean huge areas for a long time without stopping. Since 1984 Goscor has been providing the best world class industrial equipment and services in the market. Choose from a wide range of eco-friendly cleaning solutions from world leading brands. Every machine that Goscor provides is non-slip certified, and each technician is factory trained. Repairs are always carried out using only genuine replacement parts, and there are fully equipped offices located in every major city for customer convenience. When you need quality and service that you can trust, turn to Goscor.